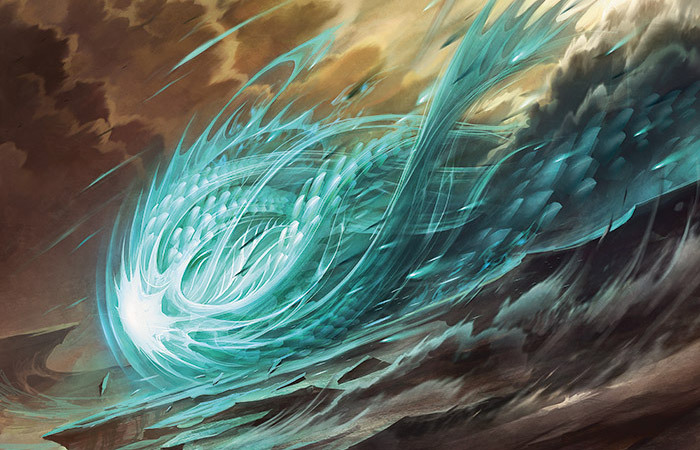 Welcome to the first week of Dragons of Tarkir previews. Sarkhan went back into the past and changed the history of Tarkir. Let's examine what exactly he did and how design crafted a set to reflect it. As always I'll show off a fun preview card along the way. I first met Mark Gottlieb through a letter. 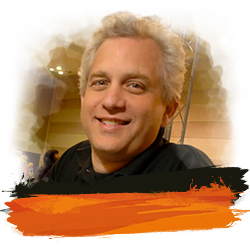 Mark has always been a huge puzzle enthusiast and even spent some time as an editor of Games Magazine. He wrote to me many years ago asking if he could be of service helping me with my Magic: The Puzzling series that used to run in The Duelist, Magic's in-house magazine back in the day. He had noticed a few mistakes and offered up his puzzle-editing services free of charge. I thanked him for the offer but declined. Flash forward a few years later when I finally met Mark in person, as he had just been hired onto the editing team. This was years before the team became part of R&D. Years later, Mark became the rules manager, and for many years he and I argued over how new cards and mechanics could be implemented. Mark then went on to become a developer specializing in many of the supplemental products. Then one day, Aaron Forsythe (my boss) came to me and said they were worried I had too much on my plate. The needs of design had been growing over the years and my time was getting more and more filled. Aaron suggested a new job, a design manager, that would be responsible for managing the designers. That role would oversee the people and their hours and I would oversee the technical design work. Spending less time managing and more time designing was exactly what I wanted. Aaron then came back to me a few weeks later saying they thought they had found a good fit for the job but they wanted my blessing. That person was Mark, and I agreed he was a good fit. Mark and I work very closely together these days, which is humorous because for so long I joked of him being my "nemesis" (that gauntlet has now been picked up by Matt Tabak). I knew going into Dragons of Tarkir design that it was going to be a difficult design. 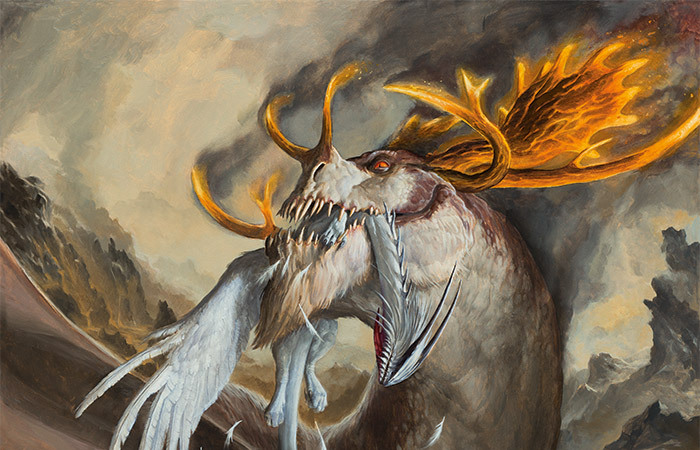 There were a lot of moving pieces between Khans of Tarkir and Fate Reforged, and Dragons of Tarkir had to be able to adjust to complement what the rest of the block was doing. Mark was my first pick for the design lead and I was never disappointed in my choice. He understood all the factors in play and did a great job not only in overseeing Dragons of Tarkir but of making a lot of observations that helped Khans of Tarkir and Fate Reforged. I first met Dan the day he started work at Wizards. He had just joined the game support team (what had previously been called customer service), but he came to talk to me because his real goal in coming to work at Wizards was to work in R&D. I explained to him that being inside the building would allow him to show us what he could do, although if he did not excel at his regular job none of it would matter. I had him join the hole-filling team, a group of non-R&D people interested in making Magic cards. Whenever holes get created in development, the hole-filling team is given first crack at trying to make cards to fill the holes. Dan impressed us in hole filling, so we put him on a few mini teams—short-term teams (usually for a week or two) put together to solve small problems in design or development. Dan did well on the mini teams and eventually we put him onto a Magic set, first a supplemental set and eventually a normal expansion. Dan did well enough on those teams that when a spot opened up on the design team, we offered it to him. Dan has since left Wizards to pursue other opportunities but in his time here he was on many design teams. Dan's positive energy never wavered from the first day I met him and he will be missed. He's not yet gone for you all, though, as you get to see his handiwork in Dragons of Tarkir. I first met Graeme when he was one of the three finalists for the first Great Designer Search. The final three were all flown to Renton to do what we called The Gauntlet, a series of three back-to-back intensive interviews as well as a final live competition. Graeme didn't win but he did score himself an internship in R&D. Graeme was able to turn that internship into a fulltime job in the company's digital department. Luckily, they let him occasionally serve on design teams. Graeme has been on numerous design teams, including several ones I have run. He is both inventive and prolific—two great assets to have in a design-team member. It is always a pleasure to work with Graeme and Dragons of Tarkir design was no exception. I first met Colin when he came in for his job interview. 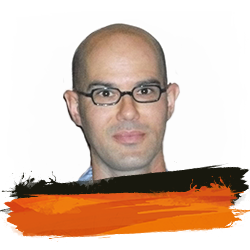 Just as Mark Gottlieb had become the design manager, Colin was brought in to be the creative team manager. 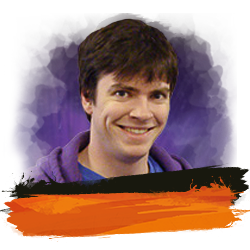 Dragons of Tarkir was Colin's very first design team serving as the creative team representative. He got up to speed very quickly and was a fine addition to the team. We don't always have a creative team representative on the third sets, but Khans of Tarkir block had a complex creative and we wanted to make sure we were making all the connections. Colin stepped up with what was a very intricate web of story elements and made sure everything connected seamlessly. I first met Sam on the first day of his job. I had heard of Sam and had read things Sam wrote, but I had never met him previously. Sam had been on the Pro Tour but his time and mine did not overlap. 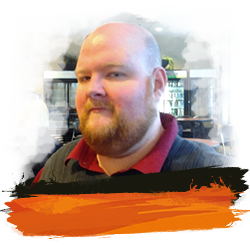 Sam served on the Dragons of Tarkir design team as the development representative, but he quickly demonstrated that he was comfortable designing cards. As I explained during Fate Reforged previews, Sam and I each independently came up with the dash mechanic during the same homework assignment. Sam has a good eye for what a Magic set needs and always asked very pointed and helpful questions. This was the first team where I worked closely with Sam and it made me realize that I was watching another development heavy hitter in the making. I first met me…I don't remember. I think I was pretty young. Anyway, I have found the best way of keeping track of all the various design teams is to be on them, so as usual I was on Dragons of Tarkir design. "Let's Start at the Beginning"
I have spent numerous articles talking about how the Khans of Tarkir block got designed, but without the audience being aware of all three sets, it was kind of difficult to explain everything. Well, as we're finally at the third set, I figured I'd back up and tell the story again, but this time with some important points I had to leave out before. We left exploratory design knowing we were going to do a Large/Small/Large block, where the middle set was going to draft with each of the large sets but they would never be drafted together. We also knew we were going to use an archetypal time-travel story to explain the structure. The main character would come to the world, find it flawed in some way, go back in time and fix what he or she thought was the problem, and then return back to present day to see what impact the change has had. As is dictated by the archetype, it never goes exactly the way main character expects. So we started Khans of Tarkir design knowing we needed a flawed world that would get changed into an even more flawed world. The creative team was on the hook for figuring out what those two worlds would be. They came back with the idea of a chaotic battle-strewn world run by warlords where the dragons have all been killed off. This world would then change to one where the dragons were the warlords. Warlord World to Dragon World sounded great, so we were off and running. Mechanically, the block structure meant a few things. We wanted the first and third sets to be very different. They needed to have some parallels to play up the fact that they were alternative timelines of the same place, but we wanted the draft experiences (as well as the overall themes) to be very different. Once we realized that Khans of Tarkir was going to be a wedge set, we then had to figure out what Dragons of Tarkir was going to be. Fate Reforged would be designed to plug into either set, thus sitting mechanically between the two. Khans of Tarkir was three-color so that meant I didn't want Dragons of Tarkir to be three-color. Why not change it to shards (i.e., three colors next to each other on the color wheel)? The problem was that two three-color sets would end up being too similar. The way you need to structure a shard set is just not that different from how you structure a wedge set. Also, the basic draft strategy would change color combinations but the strategies would be very similar. No, the set had to be something other than three-color. What about one color? What if we went from three-color world to a one-color world? That proved to be a little too much difference. Fate Reforged would have a real tough time matching the theme of three-color and one-color. For example, multicolor play requires lands that monocolor play does not. We'd have to put them in to make sure Fate Reforged played nicely with Khans of Tarkir, which means they would show up when it got drafted with Dragons of Tarkir. It was just too much of a shift. That left us with two-color options. Now, I wanted to make sure there were parallels that existed between the two sets. The way I decided to do this was through the use of factions. Each set has warlords running five factions. This created a strong parallel, but one that allowed us to carve an identity for each set. This meant that I could have five enemy clans or five allied clans. Why couldn't I mix and match them? I could, but when you are contrasting two sets against each other and one is more orderly, the aesthetics are off. If I wanted to mix and match the two-color factions, I would have needed to mix and match the three-color factions, and I didn't want to do that because there was a lot of demand for a wedge set. So, I looked over the options and I chose. Dragons of Tarkir was going to have an enemy-color theme. We had never made a cycle of enemy-colored legendary Dragons and the only enemy-color themed set we had ever done was Apocalypse from fifteen years ago. I also liked the idea that when the dragons took over, there was a lot of conflict, which the enemy colors helped portray. Now remember that Dragons of Tarkir had not yet started design. We had to figure out what we were doing to make sure that Khans of Tarkir wasn't covering mechanical territory Dragons of Tarkir needed. I then got a visit from Erik Lauer. 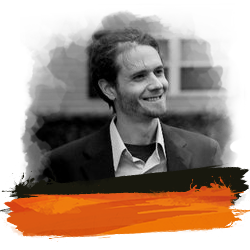 Erik is the head developer and holds the parallel position of mine but in development. Erik explained that he felt enemy color pairs was a mistake. Here's why: the correct way to draft a wedge set is to start by drafting enemy colors. That way, you leave yourself open to two different wedge factions. For example, if you draft blue-red, you leave yourself open to later taking white and going Jeskai or taking green and going Temur. Drafting enemy two-color pairs was just going to be too similar. Erik suggested I change it to ally-color. At first, I was a bit taken aback. I really liked thematically that the dragon set was enemy-colored, but as I thought over what Erik was saying I realized he was right. Our central goal was to make a unique draft structure work and to do that we needed the two to be very different. Also, as I looked into it, I learned we hadn't ever made a cycle of allied-colored legendary Dragons either. There was actually quite a lot of unexplored mechanical space. But what of the Ravnica guilds? Hadn't they proven to be the definitive models of two-color pairs? Players enjoy multicolor and Magic only has so many combinations of colors. If we wanted to keep making multicolor sets (and the theme is highly popular with the players) we had to be able to explore color combinations in a different light. Making dragon clans that were not Ravnica guilds was actually quite refreshing. Now, let's walk back and see how this decision affects the entire block. I wanted to have five clans. We were going to meet them in their three-color version and their two-color version as well as a proto-version that felt like the precursor to both. To help keep a through line and also to help us approach two-color pairs from a different vantage point, I decided that each clan would be centered on a color. Now, the obvious choice for the wedges was the enemy color. It was the clear focal point in the wedge. Here was the problem: If I wanted the wedges to turn into the two-color ally pairs, there was only one way to do it—I had to drop the enemy color. For instance, if a clan was going to end up being the green-white clan, the only choice if you start with the wedges was Abzan. This meant that I had to center each wedge on one of the ally colors. Now, I knew this was going to fight intuition and thus throw the audience a bit, but I had no choice. It was more important to me to keep the parallelism between the clans because that was the entire time-travel structure we were playing with. Each clan would evolve differently, but we wanted to see the connections. Having five wedges that turn into five allied-color pairs where there wasn't a one-for-one correspondence would contradict the entire alternative timeline feel. The two-color pairs had to be the same clans down a different path. This meant we bit the bullet and centered each clan on one of the allied colors. Then, when we went back to Fate Reforged, we pushed the focus even more, playing up the one dominant color of each clan. And that is why the wedge clans were structured the way they were. Another issue we had to contend with was how we were using morph, or more specifically face-down cards, as a means to mechanically reflect the story. 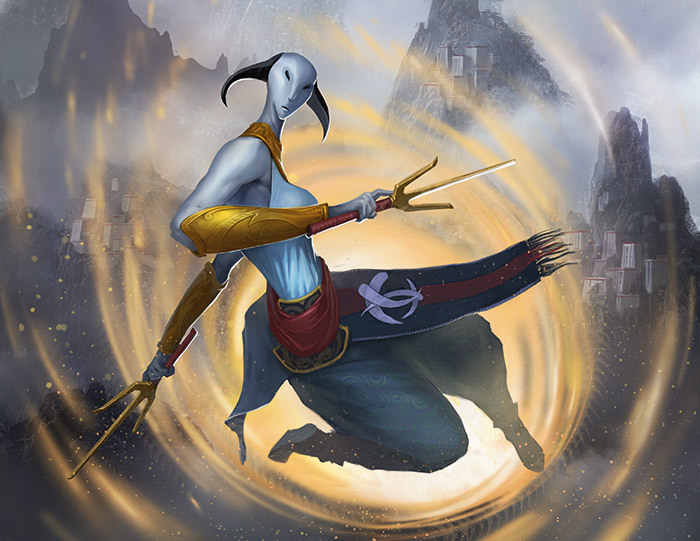 Morph was present-day Tarkir. Manifest was proto-morph from Tarkir's past. This meant that Dragons of Tarkir needed its own tweak on face-down cards. There were two choices: we could do a morph variant showing how morph was different in this new timeline or we could do a manifest variant demonstrating that in this timeline, manifest didn't turn into morph but a different mechanic. Two things pushed us toward a morph variant. One, mechanics fatigue. In a block, we tend to have somewhere between six and twelve mechanics. That makes nine about average. Return to Ravnica block had eleven—the ten guild mechanics plus fuse. It was a on the high end. Khans of Tarkir block currently had twelve—the five wedge clan mechanics, the five ally clan mechanics, morph and manifest. It was already at the top end of what we allow. A simple morph variant allowed us to do what we wanted without really having to make a thirteenth mechanic. It could be similar enough to morph that if you knew morph you'd pick it up very easily. The second problem was at the time we were designing Dragons of Tarkir, the fate of manifest was unknown. Remember that Dragons of Tarkir as a large set started many months earlier than Fate Reforged. The design team really liked manifest but it was both strange and complex. There was a decent chance it wasn't going to get through Fate Reforged development, at least not without shifting significantly. That meant messing with it in Dragons of Tarkir was a little too risky. So we chose the route of a morph variant. We would go through a number of them. The first morph variant came out of exploratory design. It was called auramorph. All the auramorphs were Auras. When you turned it face up, it automatically got attached to the creature of your choice. This led to a very different style of gameplay. For example, I attack with a face-up creature and a face-down creature. With morph, you are more inclined to block the face-down creature because that is the one that could all of a sudden hit you for a huge amount of damage. With auramorph, you block the face-up creature because that's the one that now has the potential to do a lot of damage. Auramorph had two big strikes against it. First, the same exploratory design team, after it designed auramorph, was asked to do some work on Theros block and came up with the bestow mechanic. While not exactly the same, they were a little closer than we liked for a mechanic in back-to-back blocks. Second, the design team playtested it a little, and once you got a handle on how auramorphs worked, it led to a stilted gameplay that was nowhere near as fun as normal morph. Next, we explored what I called borph, short for "bear morph." The idea was that Dragons of Tarkir morph cards could be played not for three mana, but for two (a la a Runeclaw Bear, which is where the name came from). The problem was we didn't want the Limited formats to have the two different morphs interact. Having to remember whether a player paid two or three mana required a lot of tracking and created many moments where shenanigans could happen. This did lead us to explore whether all the morphs in Khans of Tarkir block should cost two instead of three, but that is a story for a different article. Next we tried a mechanic called smorph (short for "super morph" I believe). Smorph cards cost four to play face down but they came with a +1/+1 counter, so instead of them being 2/2s facedown they were 3/3s. Smorph played amazingly. It was similar to morph and thus easy to learn but played very differently on a strategy level. Also, it gave you a reason to play a creature facedown even if you have the mana to cast it face up, because it allowed you to get a +1/+1 counter on the creature. 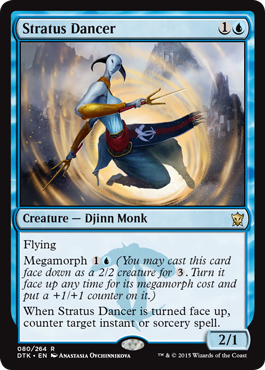 Also, unlike borph, smorph had the +1/+1 counter to help mark morph from smorph cards. So what happened to smorph? It had one small problem. It didn't play compatibly with morph. When I played a smorph card, you knew it was a smorph card and not a morph card, which meant there was no interaction between the two. The morph cards could only turn into morph creatures and the smorph card could only turn into smorph creatures. As the champion for smorph, I argued that it would be okay. Yes, it was a downside, but smorph had so much upside. That would be a fight I did not win. The final morph variant ended up being an offshoot of smorph. It got rid of the four mana for a 3/3 but kept the "going through the state of being face down got you a +1/+1 counter" aspect. This new variant playtest name was megamorph (and the name stuck for the final name). Megamorph creatures are morph creatures with one extra bonus. Turning them face-up by paying their megamorph cost puts a +1/+1 counter on the creature. To demonstrate, let me show off my preview card for today. World, I'd like you to meet Stratus Dancer. There is a lot more to the design story of Dragons of Tarkir, but I've unfortunately run out of time for today. Luckily, this is a Part 1, so I'll get to continue this story next week. As always I am interested in your feedback. You can write to me through email or any of my social media (Twitter, Tumblr, Google+, and Instagram). 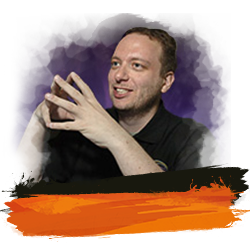 Join me next week when I start talking about the other new mechanics in the set as well as the overall structure that was key to make the block work. Until then, may your morph be mega. "Drive to Work #204—Arabian Nights, Part 1"
This podcast is the first of a three-part series about the design of Magic's first expansion. "Drive to Work #205—Arabian Nights, Part 2"
This podcast is the second of a three-part series on the design of Arabian Nights.